They’re called the Air Max 1 G, and to be fair, they might look pretty darn snazzy on a golf course, which is what they’re loosely designed for. However, they’re not out just yet, but will set you back a cool $200 when they do. Perfect for a few holes with your golfing pals. Fortunately, not the whole shoe is made of fake grass. The outsole is still the traditional gum rubber, rather than the soil you usually find under grass, so your grip should still be fine as you near the green. 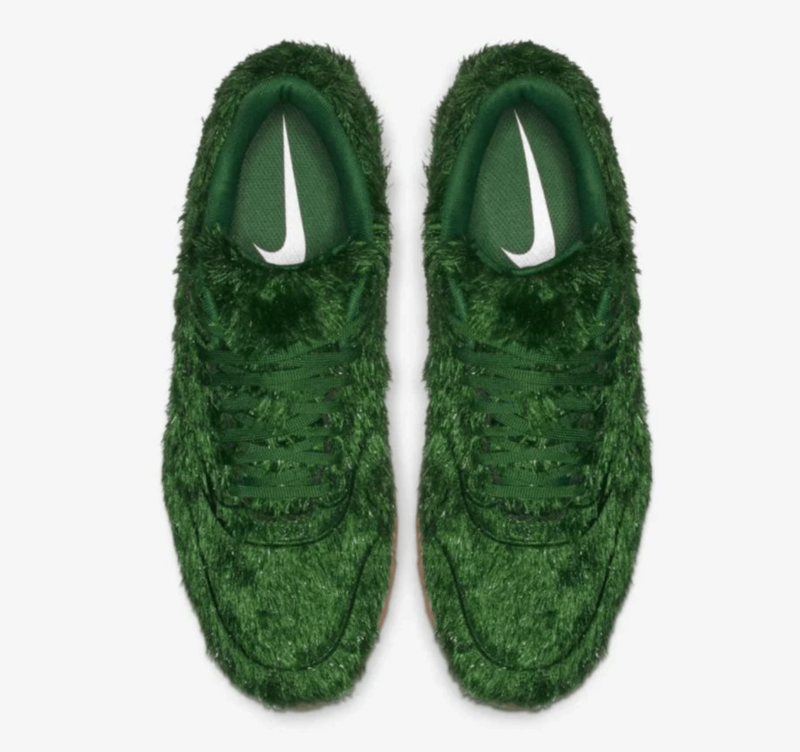 Possibly inspired by Oscar the Grouch from Sesame Street, Nike’s fuzzy new footwear will be irresistible to the touch, you know you’re going to want to run your fingers through those bad boys. This brand new spikeless golf shoe blends signature AM1 details with golf specific footwear technology to produce an almost identical replication of one of the most iconic and most popular Nike sneakers of all time. The new spikeless outsole is soft yet durable enough to wear on any terrain, while the design has been inspired by Nike’s integrated traction technology for incredible grip, stability and performance through the swing.